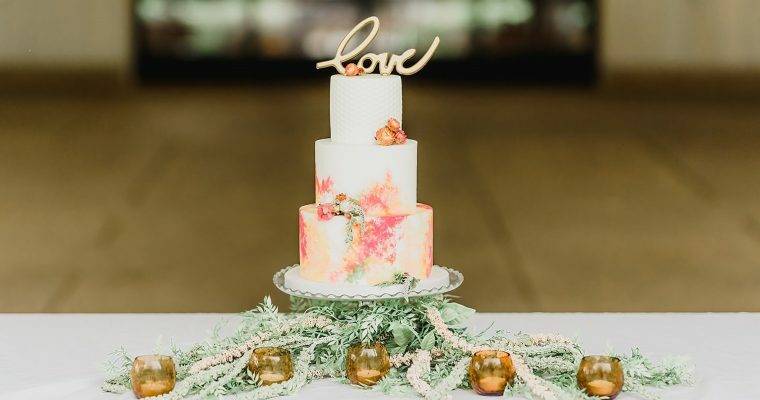 Four Oaks Bakery specializes in tiered wedding cakes, customized specifically for you and your event. Because your cake is unique to you, the price will be unique, as well. The final cost is dependent on the number of servings and the complexity of the design. There is a $200 order minimum. Your wedding cake is priced per serving, starting at $5.00/serving for buttercream and starting at $6.00/serving for fondant. While all cakes consist of four layers of cake and three layers of buttercream, each is a custom design. Therefore, there is not an exact price before the consultation. Being aware of your budget will help guide us in the creation of a beautiful cake for your wedding. You can also choose to have undecorated kitchen cakes (a.k.a. "sheet cakes") to supplement your tiered cake, priced at $3.50/serving. Your kitchen cakes will also have four layers of cake and three layers of buttercream, just like your tiered cake. As my gift to you, you will receive a fresh 6" buttercream cake at the time of your first anniversary. Nobody likes year old frozen cake! Choose your favorite cake and buttercream flavors. Sprinkles, coarse sugars, and sugar pearls are included in the base price. Candies, cookies, fruits, nuts, fondant toppers and decor, ganache, caramel, and fruit reduction drizzles are additional costs. Learn about cake and buttercream flavors here. If you have any questions or would like an estimate, please contact us.